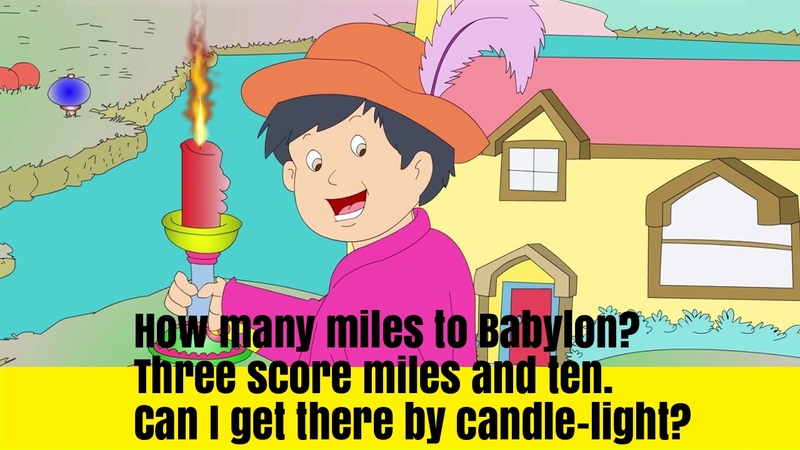 “How many miles to Babylon?” is a traditional nursery rhyme and folksong original from Great Britain.The rhyme was first recorded in 1801 and in the beginning, it was a singing game but it lost this purpose in the 20th century. If your horse be good and your spurs are bright. How money men have ye? Maenor ye dare come and see.